Often, the best candidate does not get the job because their resume does not reflect their skills and capabilities. It can be even more frustrating when an average candidate appears more suitable. As it is, recruitment and hiring processes are very time-consuming. Everything would be easier if a resume showed the knowledge, skills, and abilities of the applicant. This would increase the chances of success for both employer and employee and also save time. A lot of people in the IT sector will dedicate a page or more to their tasks and responsibilities in past projects. This is a common mistake. It is important to let an employer know about your experience and responsibility in a previous firm. Yet, saying too much on the subject can be detrimental to your application. Remember that the first two pages of your resume are the most crucial. What you include here will determine whether your resume passes the screening process. Thus, it is best to break things down and simplify. You can dedicate the first page to your skills. You can also divide it according to the technology divisions that you have worked in. Make a section on your responsibilities next. Finally, you can list your tasks at your most recent job. When you’re listing responsibilities, keep them brief. You can also list them in a chronological manner so that the most recent duties appear first. Listing vital and in-demand skills is very important. If you are applying for a position for database management, then you need to list the types of software you can handle in order of their superiority. For example, listing dBase before SQL or Oracle will look bad. It might say that you know this software better than Oracle or SQL when the other two are more valuable. Being specific about your skill-set also helps. For example, if you have experience working with Angular, then mentioning the version you currently use can be useful (e.g. 2, 4, 6). When you are listing details about your past projects, you can also make brief comparisons. For example, you can mention comparing different types of software or technology to see which was the most suitable for your project. This can give you a chance to name specific tools of technology. It also shows your decision-making skills. Instead of someone who only follows instructions, you come across as a leader. What is more is they did all this within a span of 18 months. Listing such things can cast serious doubt on your application. For instance, it makes the reader wonder if you compromised on the quality. It also makes them think if you are blowing the matter out of proportion. When you say that you rewrote an entire website, in reality, you may have changed one small aspect instead of the whole website. To put it briefly, be careful about exaggerating your achievements. You must not say things that do not appear to be possible. This can have a negative impact on the reader and will also cast suspicion on the rest of your resume. Be careful with using too much fluff in your resume. Communicating that you have good writing skills is great, but do not use too many sophisticated terms. This may suggest that you read them in a book somewhere and are trying to cram them in your resume. It also leaves the reader wondering if you hold any practical experience in the field or are drawing from bookish knowledge instead. Considering the implications, it is better to say that you hold, for example, five years of experience in your field. You can mention the kind of technological products you have worked and say why you prefer one product over the other. You can also say why you have more experience with a particular product and mention projects. This will highlight your experience in a way that it appears authentic and not fictional. It’s important to impress your employer with your decision-making and leadership skills. But, unless you are Elon Musk or Malcolm Gladwell, you must also know where to draw the line. You can mention your accomplishments and how they benefited the company or the amount of profitability they brought. It’s important to remember that most employers are not looking to hire Elon Musk. What they want instead is someone who can make the most out of the company’s resources and help them save money. 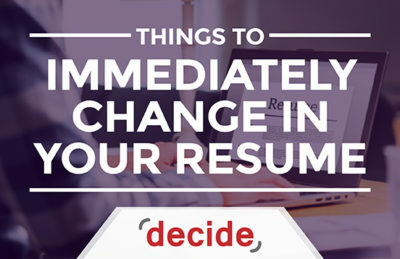 We hope you have a better idea about things to change in your resume. A resume is the starting point for any job application. The impression you leave here is very important. You must remember that employers use your resume as a reference during the interview as well. Exaggerating or providing false information may get you disqualified during the interview. Thus, your focus should be on emphasizing your skills in an authentic and accurate way. 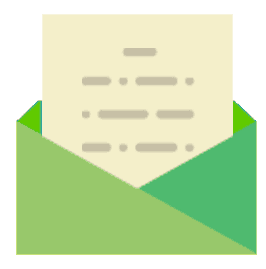 All the while, you have to make sure that the reader gives you preference over other applications. Hence, highlighting skills that are in-demand in the IT industry is very important. You must also showcase your soft skills such as teamwork, crisis management, leadership, decision making, etc. Keep your language professional, and try to be brief. Your ultimate goal is to make the employer realize that you are a good fit for the job.